On September 20, Alnylam Pharmaceuticals (ALNY) reported exciting stage 3 clinical trial results. Its drug, patisiran, treats a rare nerve disorder called familial amyloid polyneuropathy. Alnylam will seek regulatory approval for patisiran later this year. Rocket Tickers sent out a level 2 alert at 7 am, and the next trade was at $93.50. 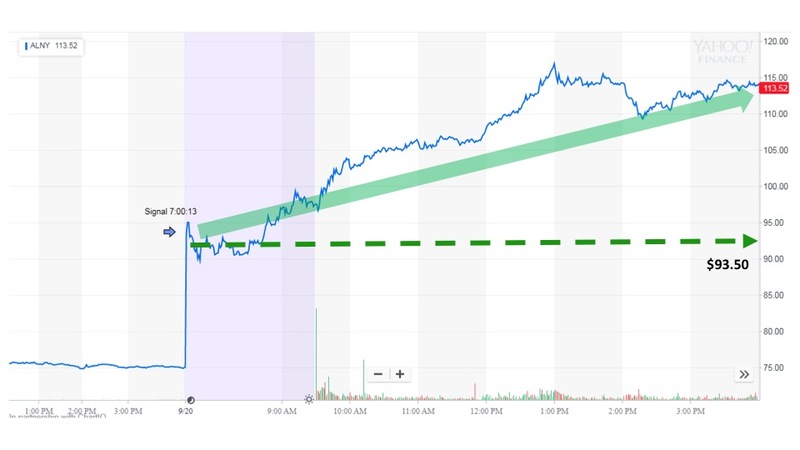 The price rose during pre-market trading to open at $97.36. The stock continued to surge throughout the day to a peak of $114.32 before closing at $113.52. 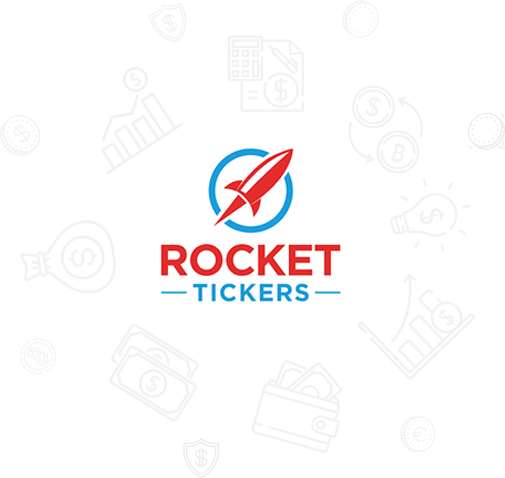 The Rocket Tickers alert allowed traders to profit on the rising stock price throughout the first day of trading.